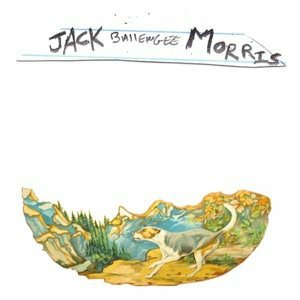 To say that I remember the first time I ever heard Jack Ballengee Morris play would be a lie. I don’t remember anything about it. It was two years ago, I was visiting a friend, and although she was amorably amazed I was dubiously distracted and didn’t pay attention to the person performing. I did, however, write down his name and information, although I never followed up on the innocent information. Two years later that same friend who is still a fan and that same information that escaped me reminded me of the reason I should really read my own notes: Mr. Morris is not only memorable, he is impossible to forget! Bestowing a beard and dressed in overalls, Jack Morris may not make you look twice, but he will indeed make you look. Once he sings, he will make you not be able to look away. His name, Ballengee, is Scottish and his family came to America to fight the Red Coats after being exiled from Scotland by the English. They crossed the ocean with General Lafayette. electric chair for you/You killed a man who done you wrong.” He may be firmly planted in his musical roots, but he brings both the sunshine and the rain with him, growing greater and getting stronger with each song. There is a salvation when he sings, and he indeed delivers a divine musical display. Sara Fincham: How important is it to you that your songs be stories and not just predictable, rhyming words? Jack Ballengee Morris: I think telling stories are at the root of my songs and rhyming words and word play is also a very important part. I like refrains and tags and just saying the words clear and plain. SF: Is music a family tradition for you? How big a part did it play in your childhood and your family? JBM: My Dad learned music from his community in Clay County West Virginia. Google The Morris Family Old Time Music Festival. It was filmed in Ivydale, West Virginia in 1972. The movie wasn’t released until 1980. Living with my dad meant you just had to be ready for anything. If there was a plan it was to follow the music. SF: All the people I’ve talked to that are fans of yours – you’ve really made an impression, an impact on them— what response do you intend to have with your music, if any? JBM: Riotous fans where ever I go! SF: In an industry where a lot of people have a gimmick, are trying to be someone or something that sells, you have a beard and a hat. You represent a real authenticity that is sometimes missing in music. Do you think it’s harder or easier to be authentic and has image ever even crossed your mind — do you see music as something that needs to be sold, or for you is it more of stories that need to be told? JBM: I like the question I’m glad you brought it up. It has a nice rhyme at the end. Did you do that on purpose? I like being me and playing music so I don’t find it hard to do that. I like nice shirts and hats and boots. Music is business — the good the bad and the ugly. SF: When you sing songs, like “Frankie and Johnny” for instance, is murder a topic that you think twice about, or does the story take precedence over the content and subject matter? What makes a story worth telling? JBM: I can’t take credit for “Frankie and Johnny” — it’s a traditional song. One of my earliest musical memories is of my dad playing “Frankie and Johnny” on stage. It was magic. If a story is good it’s worth telling. I was picking up my boots from the cobbler today and I asked him how he became a cobbler and he told a fantastic story about his childhood and learning by watching his father. Sometimes I take my guitar over to his shop and play music for him and who ever else might be around. I know an old folk song called “Peg and Awl.” It’s about the industrial revolution and the death of jobs and the murderers being the newly invented machines. SF: Is it hard to book gigs being a folk singer, or is it hard regardless —is genre irrelevant? JBM: The Harder I work the luckier I get! SF: The stories that you do tell – are they true? How much is fact and how much is fiction? JBM: Beyond a doubt it’s all-true!